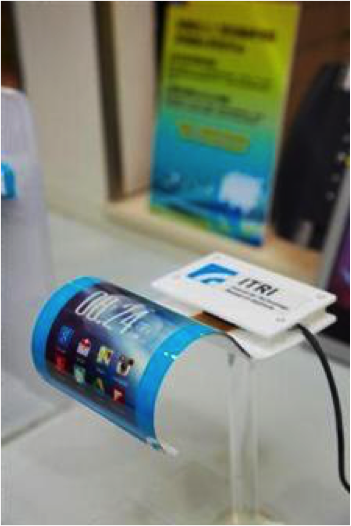 The Taiwan government-backed Industrial Technology Research Institute (ITRI) and Japan-based coating materials specialist Lintec have jointly rolled out a new coating-based gas barrier technology and process to accelerate the development of flexible display products, according to ITRI. Compared to the conventional plasma-enhanced chemical vapor deposition (PECVD) process, the new coating process utilizes Lintec's special solution-type coating materials and precision coating process. The new coating process is ideal for mass production of flexible display products as it delivers high gas barrier performance and optical transparency at high production throughput but low equipment cost, according to Chen Jang-lin, vice president and general director of Display Technology Center, ITRI.